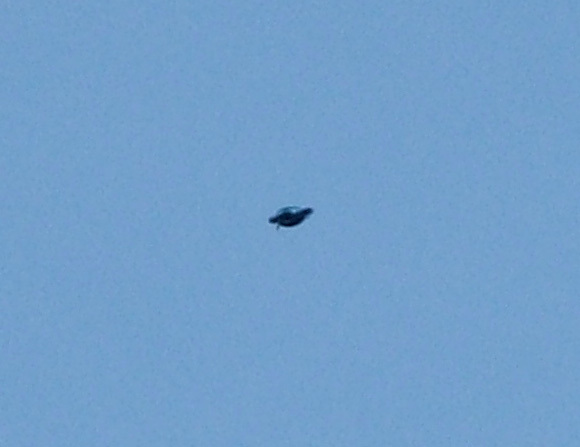 The following was submitted to UFOEvidence. It is archived here for reference purposes. The only changes to the report were some minor spelling errors. 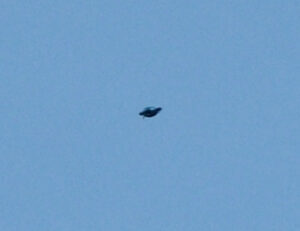 Summary: Dark – symmetrical object appeared from the clouds directly above me and started approaching vertically. By the time I grabbed my camera it changed direction and went some 2-3 km to the south. Full Description & Details: I was playing soccer with my 9 year old kid on our terrace in Zagreb. Suddenly my son stopped playing, looked into the sky and asked “daddy, what’s that”. Later he told me that he looked up because he heard strange buzz. I didn’t hear anything. This object was exactly above our heads and approaching vertically, almost like falling. I cannot exactly say how close it was, because I have no idea about the size of this thing, but If I have to guess it would be 300-500 meters. After initial shock, maybe 10 or 15 seconds I ran into the room to grab the camera. It took maybe 15-30 seconds to find it and turn it on. By the time I got back on the terrace, object changed the direction and it was at least 2 km away. It was already difficult to find it through the camera screen. My camera has only 6x zoom, and I cannot remember if I used it or not. Few seconds later there was no sense taking more photos…this was just small black dot in the sky going south very fast. 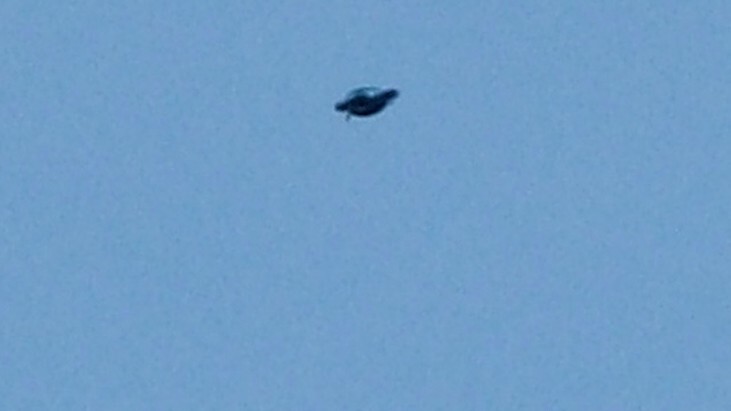 I sent a photo to my pilot friend in Geneve in Switzerland, and he told me to report this to ufoevidence. Can sighting be explained as any conventional man-made or natural object? I really don’t know what to say. Witness Background: Manager in small company / naval architect BSE / 2nd job, working in energy supplies sector (power plants, refineries), married, 1 kid, traveling a lot. Other Comments: I would appreciate expert opinion about my photograph. thanks.